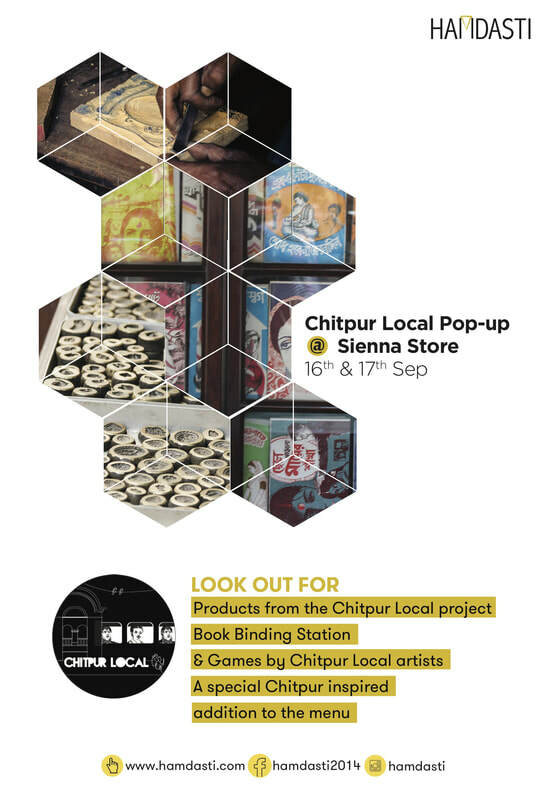 Chitpur Local launches at Sienna Store on the 16th and 17th of September, with a collection of colourful and nostalgic products developed by artists and local makers from Kolkata's historic Chitpur neighbourhood. Chitpur is a hub of printing, publishing, book binding, jewellery making and other urban craft traditions. These products are inspired by Chitpur's local traditions and unique visual styles.